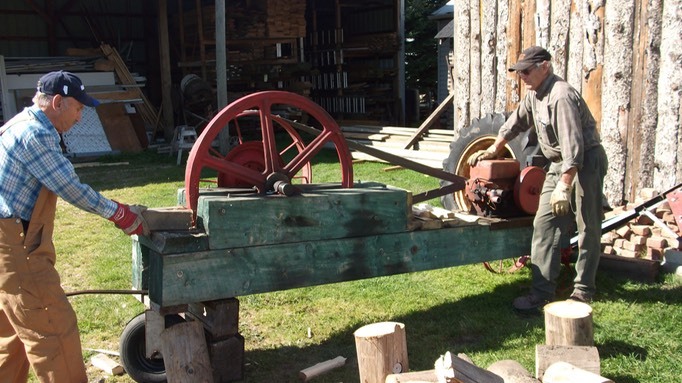 The machinery and equipment displays in the compound show a variety of farming artifacts from the 1880s to the 1950s. 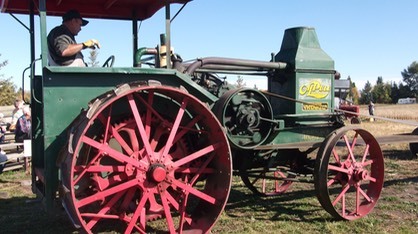 All aspects of the farming process are represented: breaking and 2, 3 & 4 bottom plows, cultivators and discs, seeders, mowers, swathers, rakes, early combines, bailers, augers, threshing machines, tractors, manure spreaders, potato seeders and cultivators. In addition we have some road working equipment such as slips, fresnos, a gravel crusher, and early graders.